Magic Mike featured in a great article in the San Diego Military Press! "No More Rabbits In This Magician's Hat"
Hiring Magic Mike Stilwell, Magician, you know you’ll get a class act. But don’t expect this local entertainer to pull a rabbit out of his hat. Not anymore. A recent USDA Federal ruling requires that if he does use a rabbit in his act, Mike, the entertainer, would need both a license for himself and a disaster plan for the rabbit. Things have changed in the world of party entertainment, to which this 60-year-old military naval veteran can attest. Mike did not have to worry about rabbits when he was stationed on the USS Constellation in the late ‘70’s. He used his time on board to serve his country and to practice, practice and practice his slight of hand card tricks. Graduation time is winding down which was a busy time for magicians. During the summer, Magic Mike plans to put his time to good use. The San Diego-based member of The Magic Castle just wrote a brand new book (Available at Amazon.Com). 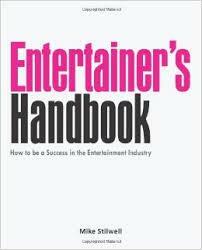 THE ENTERTAINER’S HANDBOOK is chock full of useful tidbits for all budding entertainers, with or without rabbits. “I wrote the advice book because there was no book like it anywhere,” said Stilwell in a recent interview. “Young people would always come up to me after the show and ask me questions on how to get started in this career.” The magician wasn’t too sure about sharing the tricks of his trade but realized soon that it was his insights on how to get the ball rolling and not how to roll the dice that was of interest to his youthful audience. You would be amazed at the type of gatherings where Magic Mike performs. And does. “Any place where two or more people are getting together to share a special moment is a place where a magician can entertain and make a difference,” Stilwell claimed. He has appeared in corporate settings, social gatherings and even at Celebrations of Life. 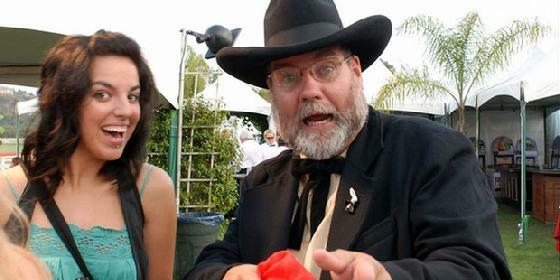 The professional magician has been performing in Southern California for over 40 years. If expenses are paid, he will consider travel to other parts of the world. And, if there should be a benefit program for children with life-threatening illness, Magic Mike Stilwell is in the front line of donating his services at no charge. Magic Mike Publishes Book On Amazon! The cost is $14.95 and it is available through the Amazon.com website. The ISBN is 1493637231, while the Library of Congress Control Number is 2013920572.